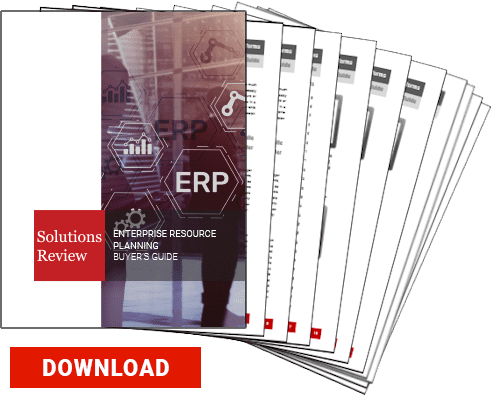 Analyst house, Gartner Inc., has released their 2018 Market Guide for Cloud ERP for Product-Centric Companies. The researcher’s Market Guide series is meant to cover new and emerging markets where software products and organizational requirements are in limbo. These Market Guides can be a great resource for understanding how a fledgling space may line up with current and future technology needs. The ERP application landscape for product-centric organizations is in transition as cloud computing becomes more prevalent and offers multiple deployment models. Gartner’s Market Guide aims to provide a more overarching view of the software space, the research house does, however, mention the vendors to watch as things take shape. Gartner highlights the following providers in cloud ERP solutions for product-centric companies: Acumatica, Epicor, IFS, Infor, Kenandy, KeyedIn Solutions, Kingdee, Microsoft, Oracle, Plex, Priority Software, Pronto Software, QAD, Ramco, Rootstock Software (as of 11 January 2018, Rootstock publicly announced the acquisition of Kenandy but considering the early stages of this announcement, Gartner still considers Kenandy and Rootstock and the data provided by each vendor individually in this report), SAP and TOTVS. 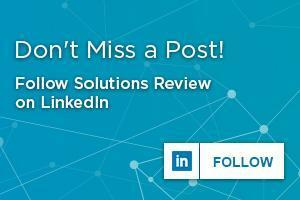 At Solutions Review, we read the report, available here, and pulled out the key takeaways for your convenience. Gartner defines product-centric organizations as companies that physically manufacture, sell and/or distribute products. Some also sell services, such as installation or maintenance, which are delivered by employees and contractors, but these services are not their primary focus. Product-centric organizations are typically either manufacturing or distribution companies. Not to be confused with service or customer-centric organizations, which focus on providing services and/or a positive customer experience both at the point of sale and after the sale in order to drive profit and gain competitive advantage. Gartner defines a product-centric ERP suite as comprising: administrative ERP, operational ERP and specialized, industry-specific modules or applications such as Enterprise Asset Management (EAM), Configure-to-Order (CTO) or Make-to-Order (MTO), Product Lifecycle Management (PLM), and Field Service Management (FSM). “A product-centric cloud ERP suite must provide, at a minimum, financial management functionality and operational ERP. Optionally, the vendor may offer other administrative ERP capabilities (such as HCM and indirect procurement) either directly or through relationships with partners,” according to Gartner. According to the report, the market is heating up as vendors seek to push clients to new-generation cloud ERP solutions. This means that many organizations face a choice between well-proven on-premises products or new solutions that are still early in their life cycles. Cloud ERP solutions for product-centric companies are maturing and Gartner analysts predict over the next three years they will be adopted by many midsize organizations and some larger organizations. Product-centric organizations’ adoption of cloud lags behind that of service-centric organizations, which tend to have simpler business requirements and fewer legacy systems in play. Regardless, some product-centric organizations have begun embracing the move to cloud ERP. Some larger companies are adopting cloud ERP solutions to support smaller or specialized business units for quicker implementation of standard functionality. Within small-to-midsize product-centric organizations, Gartner is seeing that many are considering cloud as a long-term way of increasing value and improving the flexibility of their ERP deployments.